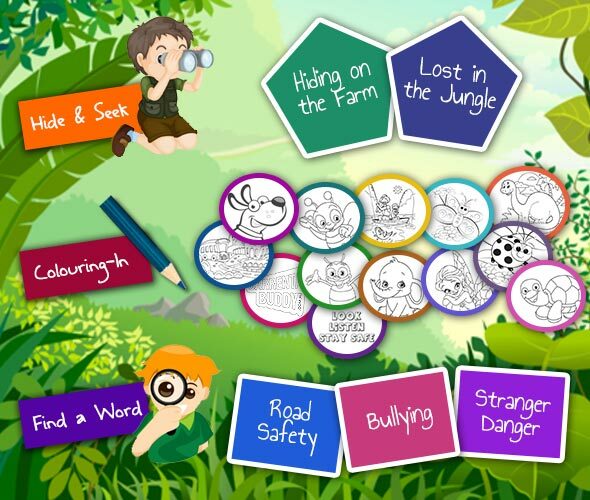 Can you find our safety team and the hidden items within our Hiding on the Farm and Lost in the Jungle images? If you love to find words in puzzles, then check out our Find a Word: Road Safety, Find a Word: Stranger Danger, and Find a Word: Bullying games. Download and print one, two, or all of our colouring-in images and show your creativity. 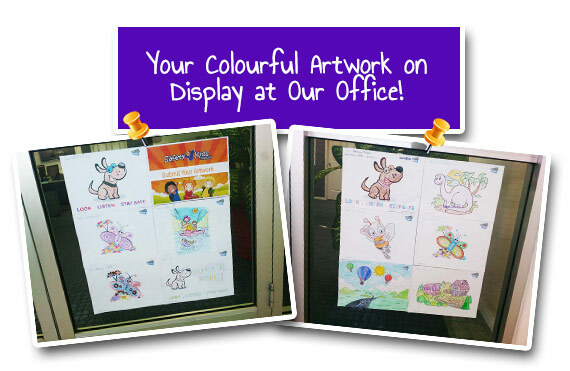 Buddy, Hazel, Paulie, and Eric would love to display your talented artwork, so once you are finished, send them to our team and we will post them in our Kids' Corner Artwork section. We will be creating more exciting and fun games, so check back regularly!